The year 2018 may go down in history as a year of trade wars and protectionism. But the good news is, 2018 has also seen some progress in international trade and cooperation. After eight years of negotiation, the states of the European Free Trade Association (EFTA), Liechtenstein, Iceland, Norway and Switzerland, signed a free-trade agreement with Indonesia, the Comprehensive Economic Partnership Agreement (CEPA) in Jakarta on Dec. 17. Indonesia, like Southeast Asia, is a particularly vibrant and fast-growing area. It has long been in the focus of EFTA’s foreign trade activities. Unsurprisingly, Indonesia has been and remains an important partner for Liechtenstein and the other EFTA states. CEPA will foster trade and investment between our countries. Its comprehensive coverage and strong focus on cooperation will be beneficial for both peoples. With the signing of the CEPA, Liechtenstein and Indonesia send a strong signal for open markets in an era of rising protectionism. The fact that the two countries are very different — especially in size — only goes to strengthen that signal even further. Fostering trade and a rules-based international order is not about ending global diversity, but about finding the best ways to complement each other. Such cooperation must be embedded in an international system based on strong institutions and the rule of law, with effective mechanisms to solve disputes and prevent violent conflict. For a small country like Liechtenstein, with no armed forces, this is not just an economic imperative, but a matter of survival. Liechtenstein’s history is closely interlinked with the rise of a rules-based international order and the international organizations built around it. It survived two world wars despite having abolished its army. In the 20th century, Liechtenstein sought to strengthen its sovereignty by joining international organizations: the Council of Europe in 1978, the United Nations in 1990 and the European Economic Area in 1995. In the same year, Liechtenstein became a founding member of the World Trade Organization (WTO). Today, Liechtenstein is recognized as a reliable and predictable member of the international community. Up to World War II, Liechtenstein had a predominantly agricultural economy, with only a small manufacturing industry. Since then, similar to Indonesia, Liechtenstein has become one of the most industrialized countries. In contrast to Indonesia, however, it has done so without any significant natural resources. Indeed, Liechtenstein’s economic power stems primarily from its human resources, based on a strong education system, and from a business-friendly environment that fosters entrepreneurship and innovation. This has resulted in a strong industrial and manufacturing sector contributing 40 percent to the gross domestic product and employing some 40 percent of the workforce. Another important factor is the professional, stable and innovative financial center. The financial services sector is second in size to the industrial sector. Another striking and unique feature is that Liechtenstein has more jobs than inhabitants, with 38,600 people working and only 38,200 living in Liechtenstein! About half of the workforce commutes daily from neighboring countries Switzerland and Austria. Being open to its neighbors and to the world is the key feature of Liechtenstein’s foreign trade policy, which has four cornerstones: Two of them are full access to the European Economic Area (EEA) — comprising the 28 EU member states as well as Liechtenstein, Iceland and Norway — and free trade with third countries via EFTA. The two other cornerstones are the membership to the WTO and the customs union with Switzerland since 1924. The latter allows companies based in Liechtenstein to operate business all over the EEA and Switzerland. 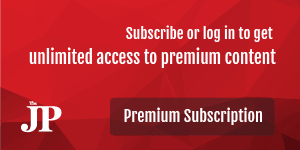 This is quite a unique feature of our economic framework. Liechtenstein is home to world leading companies. The varied product base has tended to focus on specialized high-tech sectors. The products range from industrial products in mechanical engineering to vehicle components, dental technology, food products and construction materials. Equally diversified are the export markets. Almost the totality of Liechtenstein’s production is exported. A comparatively high share of the exports, some 40 percent, goes to markets outside Europe all over the world. Liechtenstein’s industries also have significant investments abroad. Overall, they keep four times more employees on their payroll abroad than at home. With Hilti (construction tools) and Ivoclar Vivadent (dental products), two of Liechtenstein’s major companies are already present and active in Indonesia. This highlights Indonesia’s importance to Liechtenstein’s business sector. 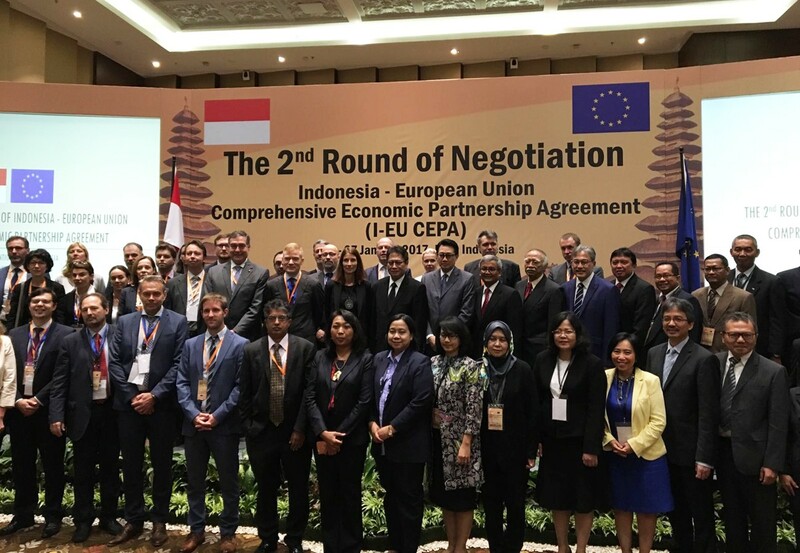 With CEPA, we paved the way for more Liechtenstein and EFTA investment in Indonesia. It will encourage our companies to strengthen their presence in Indonesia and thus contribute to economic growth and job creation. It will also create new opportunities for Indonesia in the EFTA states. This is how we lead by example, making our contribution to the world turning the page on international trade. Hopefully, this will be what 2019 will be remembered for. The writer is the minister of foreign affairs, justice and culture of Liechtenstein.